The start is with a Swizz chocolate in the river city Basel (on the Rhine). 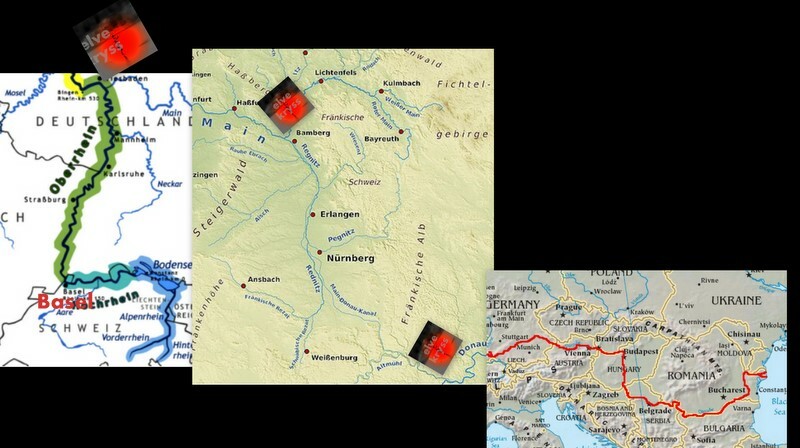 Then to Mainz (Germany )- to Bamberg (G) and from there paddling south to the start of Danube – and then waving my arms for ca 3000 km on the Danube river to the Black Sea. I’ll ask for signed old football shirts, so our 20 x 15 meter humanitarian football symbol can get bigger and the attention stays high. I’ll go for a world record in Stand up paddling to trick media to my paddling board and and missing children. I’ll stop when my arms falls of my body or when I grab the world record ( ca 4100 KM) My guess; – it will take 100 days. So I’ll paddle south from Bamberg on what many calls the Rhine-Main-Danube Canal to Furt and the channel floats in to the Danube. Bjorn @Heidenstrom on Twitter and packing my bags and board. Fantastic …….. now I can get working on my contacts. Tester publisering fra nokia mob..